What world-class startup leadership looks like. My experience has shown me time and time again that the direction and tone of an organization come from the top down. Leadership matters, period! I know being a leader at a startup isn’t easy – I’m getting a serious taste of it myself right now at ATP. But sadly, I know first hand what it looks like when it’s not done well too. It’s not pretty – failures in leadership dramatically impede a startup’s chances for success (not to mention destroy the morale of the people who work for them). That said, there are a lot of people in leadership out there who are making a tremendous difference in business… and fortunately I’ve had the opportunity to work for a couple of them that have had an indelible impression on my career. 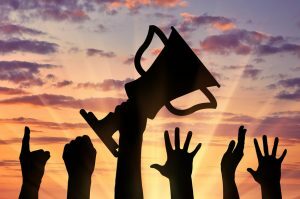 So rather than focus on everything leaders get wrong (there are PLENTY of postings that do a great job of covering that topic), I want to take some time to highlight what great leadership in the startup space truly looks like – and call out some of the people I’ve personally seen get it right. Here are the 5 most critical qualities that the best startup leadership embody, the ones that exemplified it for me, and what it did for their businesses. 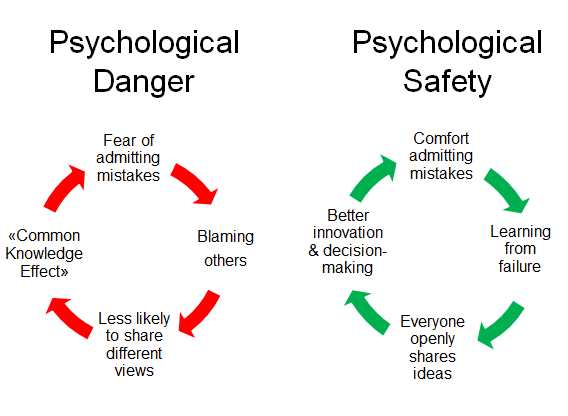 World-class leaders create psychological safety. Of all of the qualities a leader can possess, this is unquestionably the most important. And I’m not the only one embracing this idea… Google spent a lot of time and money studying psychological safety in 2012 and found this single factor was THE thing that determined how productive a team would be. For those that aren’t familiar, psychological safety is “the shared belief that the team is safe for interpersonal risk taking.” Or simply put, the ability to be and express yourself without the fear of negative consequences on your reputation, status, or career. Great leaders make it easy for their team members to be themselves, and to express their ideas without being or feeling judged for them. They create a transparent, open environment where people don’t think twice about sharing their thoughts. This in turn keeps your team focused on finding the best solution, rather than spending a significant portion of their efforts navigating a political game. And as a result, people are much more engaged (side note: high engagement boosts productivity as much as 22%). The leader I’ve seen do this best. When Daron Robertson hired me at Jacobson, I was a “guinea pig” with a lot of unknowns. The market was shaky thanks to the economy at the time and there were no promises that what we were trying to do was even going to work. However, Daron was incredible at creating a safe place where I had room to grow, learn, and contribute. He always listened to feedback from me and our customers (and not just a passing “yeah I hear you and I’m still going to do what I want to” kind of listening). And even more importantly, he acted on it – he worked tirelessly make sure I got what I needed to be successful. The result? I quadrupled the revenue for the entire organization. The only way I could’ve ever done that was thanks to his efforts as a leader. World-class leaders are master listeners. 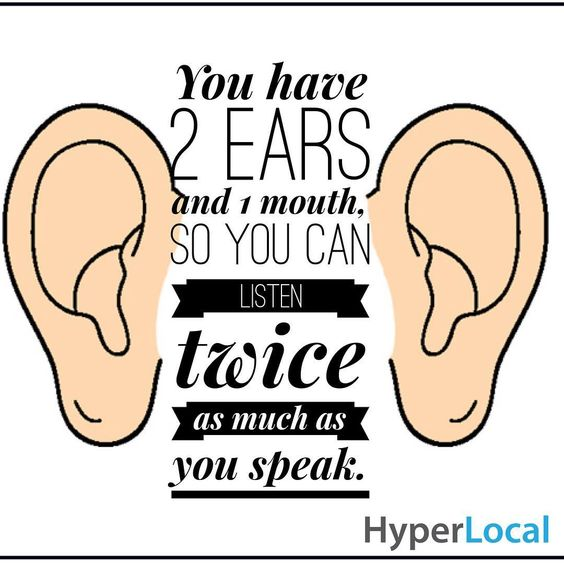 I’m of the belief that there are few skills more important in life or business than listening. It’s been my secret weapon for years, and it has single-handedly allowed me to crush quotas in every role I’ve been in. So when I saw the work that Gong.io has been doing on analyzing sales conversations with AI, I wasn’t surprised that the data backs this notion. Top performing salespeople spend on average just 43% of the time talking on a call, while most salespeople spend way more time talking than they think. 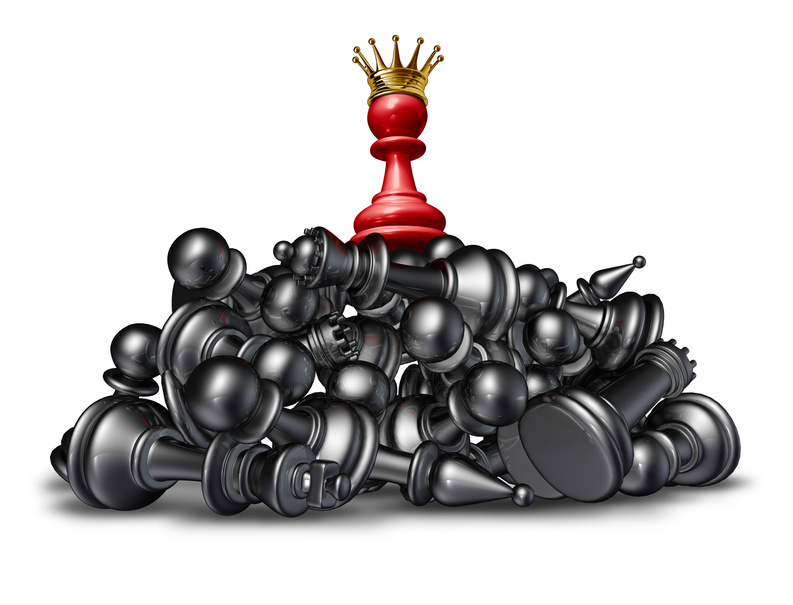 But with leadership, the table stakes are even higher. And as Daron showed me above, one of the key ways that great leaders create psychological safety is to be remarkable listeners. I mean, how eager will you be to speak up if you don’t believe your boss is absorbing what you say, right? Great leaders take their team’s contributions seriously, and go out of their way to show their people that they’re valued by truly absorbing what they say. It’s no different than what you would expect from your friends, family, or significant other, right? Zac Lowder is the epitome of a great listener and a great leader… if you look up EQ in the dictionary, I’d bet money his picture would be front and center. When Zac is involved in something he gives it 100+% every time. This includes how he interacts with those around him – when you speak, you always have his undivided attention. And this quality is something that has directly impacted the performance of his team at Inspire. He has created a culture and team that would gladly fall on their swords for him and are killing it as well. World-class leaders are incredible communicators. This is especially true for leaders. How will your people trust the direction you are setting without trusting that you have their best interests in mind? I believe there are few skills in leadership and in life that are more important than communication. Communication done right can turn a tense situation into a calm one, make a bland message inspiring, and take otherwise unmotivated people and get them fired up. But the opposite is also true too – it can totally demotivate people to perform at higher levels when done wrong. I’ve said this before but it bears repeating: humans make decisions emotionally, not logically. That means as a leader, you need to make sure you connect with people first before they’ll ever get on board with your authority. You must ask yourself, how are you inspiring the team to get behind your mission? Keep in mind, doing this is more than just your words. It’s everything you do to connect, including your presence, actions, attitude, tone of voice, the way you phrase things, your timing, and more. And as a leader, you have to be on point with all of these elements to earn the respect of your team and create a culture of psychological safety. Aline Eastwick-Field hands down was one of the best leaders I’ve ever worked for. During our time together at Indeed, I never had to guess what she was thinking or if she cared… she just nailed it every time! Aline was a pro at setting clear goals and had regular team brainstorming sessions that were actually productive (where she listened hard). She was always insistent on finding better ways to engage prospects and customers and used these sessions to deepen the communication on our team. To put things in perspective regarding how effective her communication was, the day I found out I wasn’t going to work for her anymore, I actually cried (note: if your people are crying when they leave you, you’ve done something right). Speaking of crying, Frank Schneider tops the list of remarkable leaders that when it was time for him to move on his team was passing the Kleenex box. He’s a gem of a leader that is a combination of all of these qualities wrapped into one amazing human being! World-class leaders have an unwavering vision. The best leaders I’ve ever worked for always have a strong sense of where they are going and what needs to be done to get there at all times. Not only that, they are exceptional at communicating and articulating what that vision looks like to inspire those around them to greatness. But most importantly of all, they are really good at showing their people why they should get excited about it. In fact, I’d go as far as saying that true vision is about knowing “why” you’re doing something, not just what or how you’re doing it. I had the pleasure of both placing Scott Schwartz and working with him to build out his sales team. Hands down, I’ve never seen someone come into a company with a vision like he did and actually execute at a high level simultaneously. Scott knew exactly what he wanted, had a smart plan for execution, and built a culture and team that he led much more like a coach than a “manager.” And his results speak for themselves – think double-digit growth inside a handful of months and a team that would fall on the sword for him. World-class leaders have rock-solid integrity. My guess is many people have worked for a boss they feel they can’t trust at least once in their life. And so I think this point is pretty self-evident… I mean, if you never know whether they’ll follow through or not, how can you have any faith in their vision or know that they care? Will you actually want to give them your feedback if you’re not sure whether or not their response is authentic? That’s why I personally believe integrity is a critical foundation for all kinds of leadership (or anyone in business for that matter). It’s essential to ensure that you’re communicating effectively and that you’re building a culture of psychological safety in the process. Jeremy Schultz (EVP Strategy at SAVO) is one of the few people that I can honestly say does every single thing with integrity. He’s a cards face up kind of guy and would never step on someone to get ahead (leaders, don’t use your people to benefit yourself – push them to be better than you!). He’s helpful, smart, and fought the fight internally to support us over here at ATP because he believed in the way we recruit and wanted that for his company. His actions will always speak louder than his words. As I think about the impact these leaders have had on my career and life, I’m thankful for their presence in both. These leaders have inspired me to new levels of achievement in my own life, both personally and professionally. And I can’t say enough about how much they truly exemplify amazing startup leadership. That’s the legacy great startup leaders leave! 9 things you should NEVER do if you want to hire all-star salespeople.